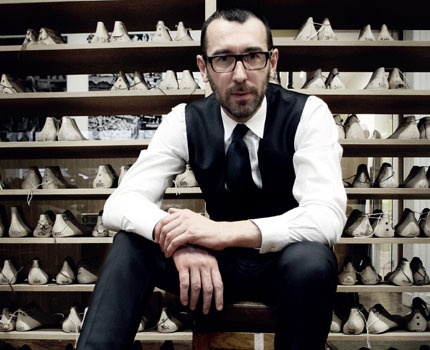 HEALTH met with Alessandro Sartori, Creative Director, Berluti to find out what all men need to be wearing this season. The foundations of Berluti date back to Paris in 1895 and have been built by four generations of the Berluti family, who cultivated an exceptional know-how in the mastery of shoe making, a deep understanding of fine footwear and a passion for leather and patina. Berluti today is far more than a bootmaker, in 2005 fine leather goods were introduced and, in 2011, a complete clothing collection. According to Sartori, Berluti’s 2016 has a more sportier feel. He elaborates: “Berluti’s ateliers have been working with the latest innovations in textile technology to create the most lightweight performance materials and fashion them into a modern summer wardrobe that is both hardwearing and as light as a feather.” Essentially this season, men’s ready-to-wear is all about light sports designs. Key pieces all men should not be without in 2016, suggests Sartori, include a well fitted blazer, comfortable but versatile loafer and the perfect briefcase or weekend bag. “These are all classic pieces which can be changed seamlessly from daywear to evening wear,” he explains. “Remember, the rule is to keep it simple.” Classic pieces such as a well-fitted blazer or a pair of Alessandro’s will always be appropriate. Each man is different and should always be comfortable in what they are wearing.